Get ready for Kingdom Hearts III with the 1.5 + 2.5 Starter Pack. 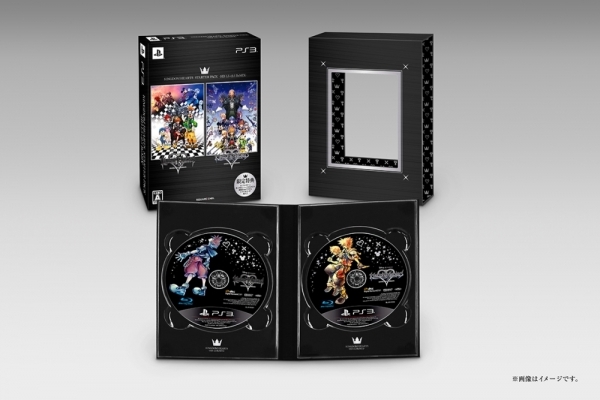 Square Enix has revealed the final Japanese box art and a limited editions for Kingdom Hearts HD 2.5 Remix. While the standalone game will cost 6,648 yen, a “Kingdom Hearts Starter Pack HD 1.5 + 2.5 Remix” including both Kingdom Hearts HD 1.5 Remix and Kingdom Hearts HD 2.5 Remix in limited edition casing, and a serial code for the “Anniversary Set” in Kingdom Hearts Chi, will cost 9,800 yen. 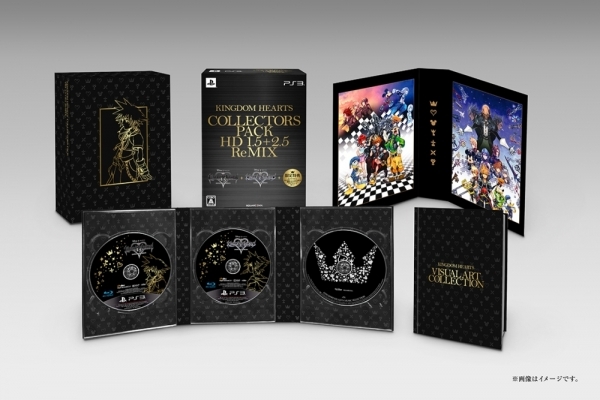 Additionally, a Square Enix e-Store-exclusive “Kingdom Hearts Collector’s Pack HD 1.5 + 2.5 Remix” will include both Kingdom Hearts HD 1.5 Remix and Kingdom Hearts HD 2.5 Remix in limited edition casing, a “Kingdom Hearts Music Selection” Blu-ray disc, a “Kingdom Hearts Visual Art Collection” booklet, and a serial code for the “Anniversary Set” in Kingdom Hearts Chi for 14,000 yen. The Kingdom Hearts Chi “Anniversary Set” includes the “Key Art #16 [SR+],” “Potion” (x30), and “Ether” (x30) in-game items. View higher-res images of the box art and each limited edition at the gallery. 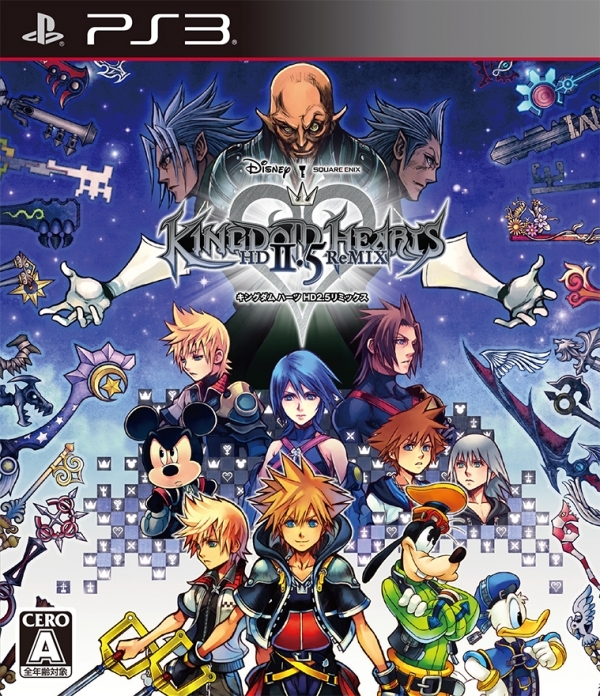 Kingdom Hearts HD 2.5 Remix is due out for PlayStation 3 in Japan on October 2, North America on December 2, and Europe on December 5.